Hollywood artist, Plastic Jesus made a statue portraying popular rapper Kanye West as Jesus Christ. He labeled the statue "False Idol" and said it was a social commentary rather than a symbol of worship. 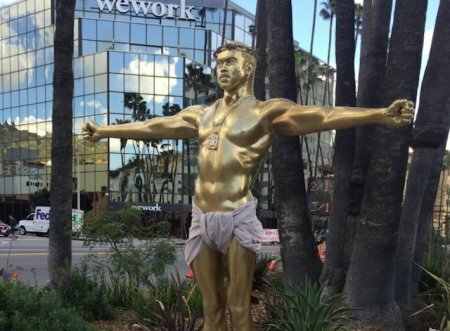 The statue will be on display along Hollywood Boulevard in California before being part of an art gallery in Hollywood. Kanye West has previously portrayed himself as Jesus, on the cover of a Rolling Stone magazine issue and the cover of one of his singles, Jesus Walks.